Theresa has been a REALTOR since 1986. Long time RE/MAX REALTOR with over 30 years experience. 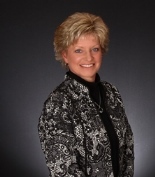 Theresa Shrader has honed her skills extensively in new construction sales and marketing. Her vibrant, energetic personality along with her strong professional ethics, reputation in the industry and her passion for bringing buyers and sellers together have paved her way as a successful professional in the Real Estate industry. If you're thinking to buy or sell a home, give her a call today. **EXPERIENCE ** SERVICE **TRUST ** -- YOU deserve it & YOU will get it.